Mick Schumacher says he has never viewed comparisons to his seven-time F1 world champion father Michael as "a problem”. Mick Schumacher says comparisons to his seven-time Formula 1 world champion father Michael have never been "a problem” for him. 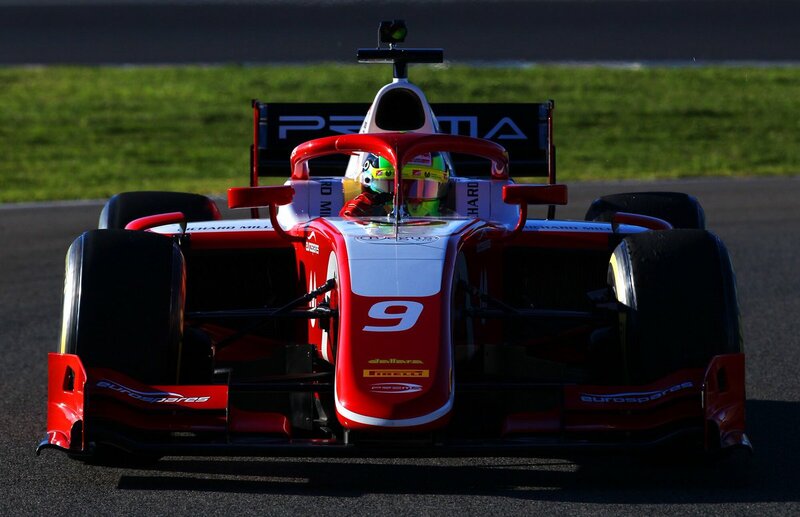 The reigning European Formula 3 champion has graduated into Formula 2 for 2019 with Prema as he moves a step closer to following in the footsteps of his father in his goal of reaching F1. Due to his family name, Schumacher has often found himself being compared to his father, though he insists he finds such comparisons an “honour”. “Being compared to my father was never a problem for me,” Schumacher said in a Prema video previewing the 2019 F2 season. “It’s pretty simple, for me being compared to the best driver in F1 history is the goal you want to achieve. The 19-year-old, who joined the Ferrari Driver Academy last winter and is on the “shortlist” of drivers being considered for an Alfa Romeo F1 test this year, spoke of the challenges he expects from his step up to F2. “The step itself isn’t that huge [from F3], it’s more understanding the tyre at 100 percent and I think that will be the most difficult part,” he explained. “We have a lot more downforce and a lot more speed, so we have to work the car a lot more. It’s a good challenge. “I can learn so much from Ferrari because they have so much experience, and I want to achieve the maximum I can. The first impressions were so heart-opening in welcoming me into the family, which was always a part of my family. The combination of both was very positive and I’m very happy.